Hello readers, today I am back with another movie deals. 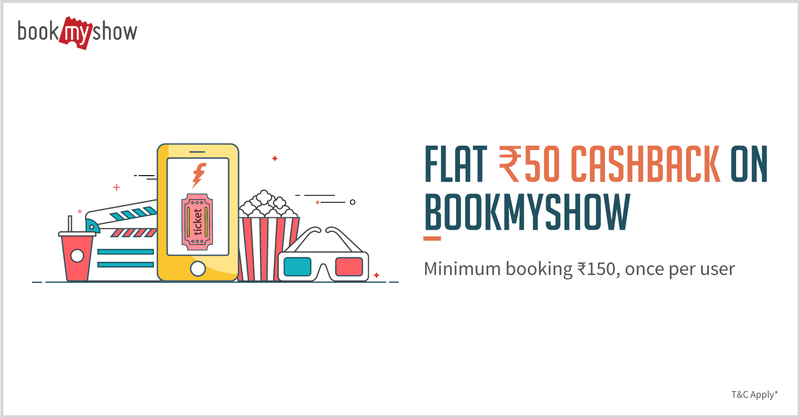 Now you can get Rs 50 cashback on BookMyShow if you will pay through freecharge wallet. Minimum booking amount is Rs 150 and valid once per user. 1. Go to Bookmyshow app/website. 2. Book your movie ticket of minimum amount of Rs 150. 3. Now in payment page, Select ‘Pay with FreeCharge Wallet’ option. 4. After successful transaction cashback will be credited. 1. 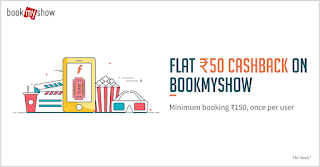 Get flat Rs.50 cashback on minimum booking of Rs.150 on BookMyShow with FreeCharge. 2. Offer valid once per user during the offer period. 3. Offer applicable on the Bookmyshow Website & App. 4. Offer valid from 3rd February 6PM till 28th February 2017. 5. Cashback will be credited to FreeCharge wallet within 24 hours.